Personal Bankruptcy - The best way to get a fresh start? 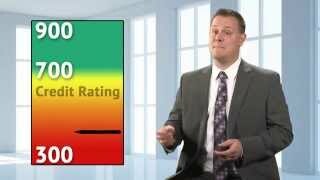 Chris Welker explains how bankruptcy is designed to help the honest and unfortunate debtor gain protection from creditors and be released from debts. No. A goal of the bankruptcy legislation is that individuals filing personal bankruptcy get a fresh start. Therefore, certain assets are deemed exempt from seizure by creditors. What assets are exempt from seizure by creditors? It depends on whether or not there is any net equity available if your property was to be sold. Net equity is calculated as: appraised value minus selling costs and mortgages. If there is no net equity in your property (ie: the value of your property is less than the amount of your mortgages and selling costs) then there is no issue with keeping the property. If there is net equity (ie: the value of your property is more than the amount of your mortgages and selling costs) then your creditors would want your share of this net equity amount to be paid to them. Having net equity does not mean that you have to sell your house. It does not matter to your creditors whether the net equity proceeds come from the sale of the house by the trustee or from you personally. If you are able to make payments totalling the amount of the net equity, you can keep your house. Many people that go bankrupt own their homes. Though some have equity in their properties and others do not, the majority in each group are able to keep their homes despite their filing personal bankruptcy. If your vehicle's equity (net fair market value minus collateral security amount) is $5,650 or less, it is exempt from seizure by your creditors. If your vehicle's equity is more than $5,650 of equity you can still keep it but you will be required to pay the amount in excess of the exemption to your creditors. Filing personal bankruptcy does not affect the rights of your secured creditors. Therefore, if your vehicle is collateral for a loan you must continue making payments or the secured creditors will repossess your vehicle. If I go bankrupt will I ever be able to get credit again? Yes, you can start rebuilding your credit immediately after filing personal bankruptcy. If I go bankrupt will it affect my spouse? No, you and your spouse are two separate legal entities. Nothing you do can affect your spouse’s credit rating or his/her legal obligation to pay his/her creditors. However, if your spouse has co-signed any of your debts, your filing personal bankruptcy won’t prevent the joint creditors from pursuing your spouse. What are the main duties of a bankrupt? What is the Office of the Superintendent of Bankruptcy Canada? The Office of the Superintendent of Bankruptcy Canada is a division of Industry Canada which is a part of the federal government. All consumer proposals and bankruptcy filings are registered with the Office of the Superintendent of Bankruptcy Canada. The Office of the Superintendent of Bankruptcy Canada monitors all trustee practices and is responsible for trustee licensing. If a debtor is dissatisfied with the services provided by a licensed insolvency trustee he can file a complaint with the Office of the Superintendent of Bankruptcy Canada. What is surplus income and how is it calculated? One of the duties imposed on everyone filing personal bankruptcy is to submit monthly income reports to the trustee. The purpose of these reports is to allow the trustee to monitor your monthly income and determine if you are required to make surplus income payments. When you file for bankruptcy you no longer make payments to your creditors. However, some people filing personal bankruptcy can afford to pay their creditors something. How the trustee determines if you are required to pay, and how much, is based upon the Superintendent of Bankruptcy Canada’s surplus income payment guidelines. Every year, the Superintendent of Bankruptcy Canada publishes guidelines as to the income amounts needed to enable payment of normal living expenses (amounts vary with size of family) and only income above those amounts is subject to the surplus income calculation. These guidelines increase annually based upon the consumer price index. If you and your family earn above these guidelines you will have to pay a percentage of your surplus income to your creditors. Having surplus income affects the length of your bankruptcy. A first-time bankrupty with surplus income lasts 21 months and a second-time bankruptcy with surplus income lasts 36 months. Make an appointment to meet with one of our licensed insolvency trustees. Some debts are not released from bankruptcy? Most debts are released by your filing personal bankruptcy or by your making a consumer proposal but there are some debts that are not released. What are my options for dealing with tax debt? Owing money to the government regarding tax debt is treated the same as owing money to any other creditor and it can be released by the filing of personal bankruptcy or the making of a consumer proposal. What special rights does the Canada Revenue Agency have with respect to collection of unpaid taxes? The Income Tax Act (ITA) gives the Canada Revenue Agency (CRA) special collection rights referred to as “enhanced garnishment provisions”. The enhanced garnishment provisions provide CRA with the ability to garnishee wages and seize assets without a court order. The CRA can also register an involuntary lien (mortgage) on the title of your property. The filing of personal bankruptcy or the making of a consumer proposal stops all collection action and the CRA cannot continue to enforce any enhanced garnishment provisions. However, if CRA registers a lien upon the title of your property prior to your filing personal bankruptcy or making a consumer proposal, the lien will survive. How do I compromise my income tax debt? File a formal consumer proposal with a licensed insolvency trustee. CRA won’t accept informal proposals provided by credit counsellors, financial advisors or any other non-trustees. Does the amount I owe to Canada Revenue Agency affect my options? Only if you are considered a ‘High tax debtor’. A high tax debtor is anyone that files personal bankruptcy and owes the CRA in excess of $250,000. Such an individual is not eligible to receive an automatic discharge from bankruptcy and must obtain his discharge from the court. A CRA representative will attend the court hearing and this bankrupt's discharge may be made conditional upon making additional payments. This is not an issue if you decide to make a consumer proposal. What debts are not released? Most debts are dealt with in the filing of personal bankruptcy or the making of a consumer proposal but there are some debts that are not released by the bankrupt's discharge or by the completion of a proposal. Can I be released of my student loans? As per section 178(1) of the Bankruptcy and Insolvency Act, student loans received under the Canada Student Loans Act or similar provincial legislation are not released by the filing of personal bankruptcy or the making of a consumer proposal unless the debtor has ceased being a full or part time student for a minimum of 7 years prior to filing. Is a Consumer Proposal possible with student loan debt? Provided that the debtor has ceased being a full or part-time student for more than 7 years as at the time of filing the consumer proposal, the student loan debts will be discharged upon completion. If the debtor has not ceased being a full or part-time student for more than 7 years, the student loan debts will not be released of by filing a consumer proposal. However, collection action is subject to the stay of proceedings and creditors are able to receive dividend payments. It is possible to continue your regular student loan payments during the term of the consumer proposal to avoid additional interest charges. Is filing personal bankruptcy possible with student loan debt? The Office of the Superintendent of Bankruptcy Canada indicates that student loan debts can be released by the filing of personal bankruptcy, provided that the bankrupt has ceased being a full or part-time student for more than 7 years as at the date of filing. If the bankrupt has not ceased being a full or part time student for more than 7 years as at the date of filing personal bankruptcy, the student loan debts are not automatically released. Then the debtor may make an application to the court requesting that their student loans be included in their bankruptcy and be released. This is referred to as a “Section 178(1.1) application”. The Section 178(1.1) application is not part of the service provided by the trustee. We can recommend knowledgeable and experienced individuals to provide this service. How is the 7 year period calculated? The 7 year period is calculated from your "last day of study" to the date of your filing. The last day of study is not necessarily the last day that you attended classes. If you are unsure of this date, you should contact your former school/institution for confirmation prior to your filing. Find out more about your situation. Jump to a different topic below.